Our beloved departed want us to remember them in tears of Joy! They want us to celebrate their Life! A Eulogy is a formal expression of praise for someone who has recently passed away, and takes place during the Celebration of Life service. A Celebrant is a person who performs a ceremony. As a professional Officiant, I act as the Celebrant, or work with your own Celebrant, conducting the Eulogy. 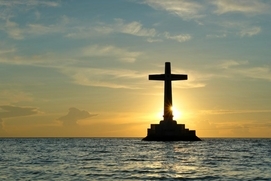 My personalized eulogies reflect the deceased’s beliefs, philosophy of life and personality. Those chosen to give a Eulogy at a funeral are usually those most closest to the deceased, because of the relationship shared between them. These individuals are also the most saddened. to speak to a crowd. 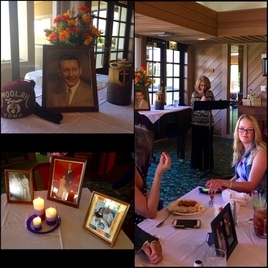 As a Celebrant and public speaker, I will share these stories and memories with the guests, creating a personalized eulogy that reflects the character and life of the deceased. to enjoy the remembrance of their loved one. It was my honor to Officiate the Celebration of Life service for Lou York, Sr. Family and friends gathered to reflect on his life and pay tribute to a wonderful man. As a Destin Florida Eulogy Speaker, I spoke on behalf of several family members, which made it easier for them to enjoy the service. It was a beautiful testimonial! On Sept. 13th I Officiated a Celebration of Life for Kimberly Williamson, who would have been 60 years old on that day. Kim always said her favorite place on the planet is the beach here in Destin. This is where she met a group of people from different states that became her friends for life. Family and friends gathered to celebrate this wonderful woman who was clearly loved by so many. 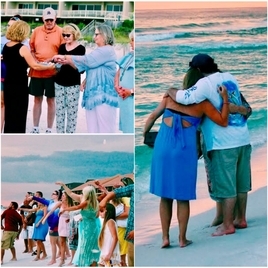 A few guests spoke of their memories; poems, prayers and a shell toss were incorporated. And the most stunning sunset...all for Kim.